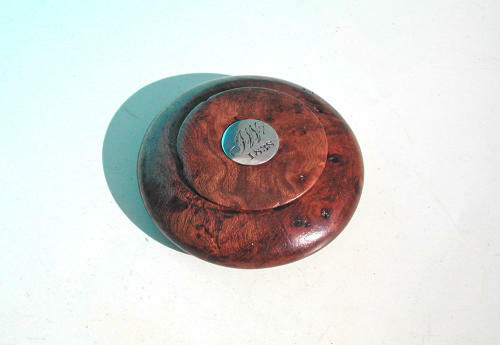 A superb 19thc burr elm snuff box, it has gained a wonderful colour that you get with burr elm and has a silver mount inset into the lid, engraved with the owners initials J.W. and dated 1838 . Condition: Excellent condition with signs of normal wear from years of use.